Thank you all for your support. There were nearly 800 entries to the competition this year. A special thank you to our judge, Angela Kirby and to June English and Patricia Griffin for all their hard work in the competition organisation and administration. A cheque for £1,100 was presented to Torriano Meeting House by the Torriano Support Fund. 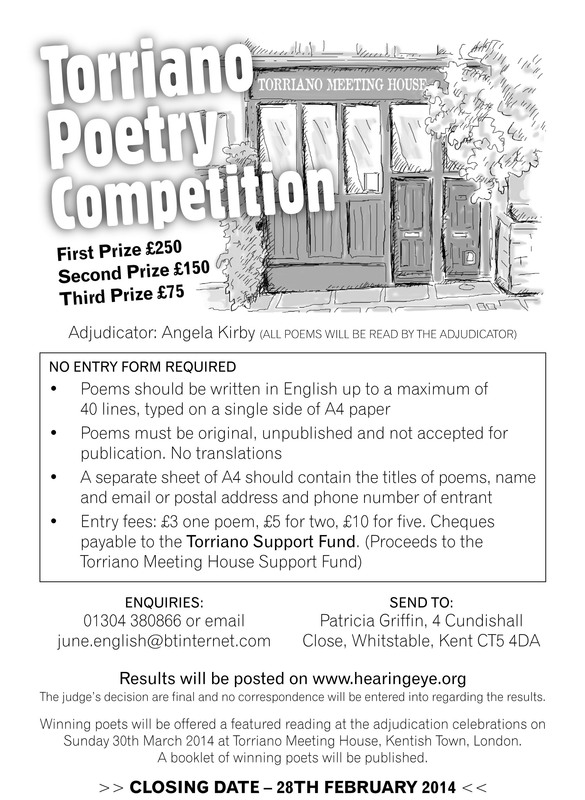 A pamphlet of the winning poems will be produced later this year.